Is Your E-Mail Signature Helping You Market Your Brand and Drive Leads? The power of e-mail cannot be overstated in today’s digital marketing world. If you’re like me, you send and receive lots of e-mails each day. Some e-mails get forwarded on and some get deleted. But, with so many eyes viewing our e-mails, it only makes sense that we should pay close attention to each aspect of the e-mail. However, more often than not the signature space on e-mails falls into one of two categories: a barren wasteland or an overcrowded junkyard. With just a few basic tweaks you can use the signature area of your e-mail to help you drive leads and market your brand every time you send an e-mail. Be thorough and concise – Clearly list all pertinent ways to contact you. If you’re not a brick and mortar store, you don’t need to list your physical address. Make sure you include a phone number and not just e-mail and web address. Toot your own horn – Use this section of your e-mail to include icons for your social media and any awards. You could also feature a link to a publication you or your company were featured in. Position yourself and your company – Include your company’s tagline or a quote of yours that summarizes your business philosophy. Make sure it’s relevant to your brand and communicates a clear message (or benefit) to your viewers. 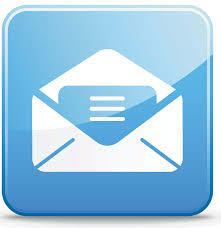 Don’t include unnecessary attachments – Do not embed business cards, logos, and other images in your e-mail. These are really annoying. Stick to text. Do include helpful links – Do you have a special promotion going on? If so, this space might be the perfect place to include a link to a page on your website to learn more. Practice restraint – Less is more here. You want to use this space wisely and not clutter it up. So, don’t list every means of contacting you and every award your company has ever won, etc. Review often – Continue to monitor this portion of your e-mail and adjust the contents as necessary. When approached with some thought, the signature line becomes a valuable piece of real estate that can work to help you increase brand awareness and drive leads. So, take another look at your signature line and see if it doesn’t need some work to make it a useful tool for you. Nurturing your leads is a very powerful tool for increasing your bottom line performance. There are a few steps you can take that will lead to improved sales. Marketing helps generate the lead and passes it off to sales to close. The two teams have to work together for optimum results. Marketing needs to know what sales defines as a qualified lead from the get-go. And, sales also needs the capability of feeding leads through the back door into marketing’s lead nurturing campaigns. Sales needs to keep marketing in the loop, indicating what business verticals they want targeted and specific content they would like developed. Using just one communication vehicle is not enough. A layered approach works best. So, you have to come up with a plan that is multi-channeled and uses e-mail, website, blog, tweets, videos, etc. Customers need and want to access more and different information about your company. By creating a multi-channeled approach, you broaden and customize your conversation with your prospects. 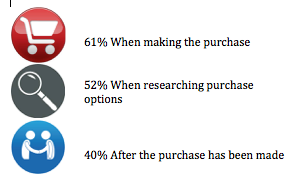 This helps push them through the buying process more effectively and more quickly. There is a direct correlation between the length of your forms on your website and the abandon rate. Prospects don’t like to give up their information easily. So, ask them for a little bit of information at a time. And, make each question really count. Don’t ask them for information your system already has on them, like company name. Begin with a couple of qualifying questions each time you send out an offer. 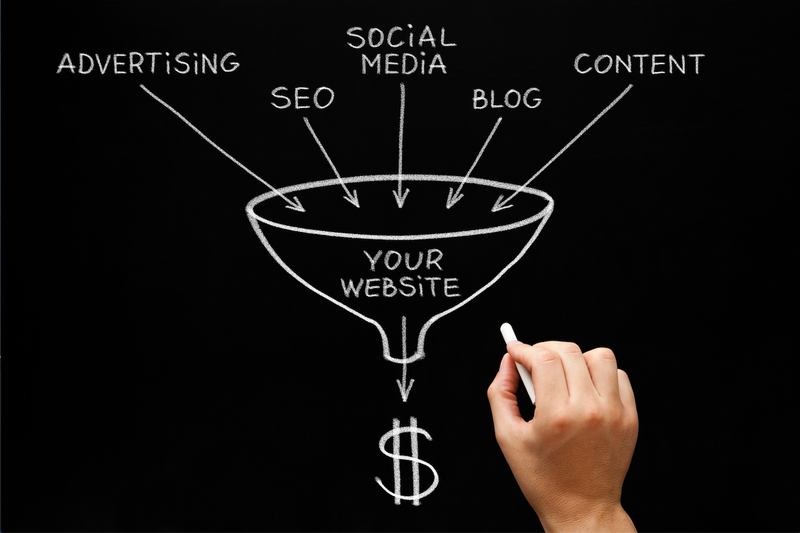 Then, as the prospect moves down the funnel, you will build your lead intelligence on them. What are you doing that’s working to generate better leads? Let us know! Last week I talked about the importance of a clickable phone number for your mobile users. Today I want to talk a bit more about mobile prospects and how you need to think about your mobile marketing to them since more and more website visitors are accessing your site from their smart phone. By focusing on some key elements, you can make your landing pages work much better for you, especially with your mobile visitors who now fully expect and require your site to be operational and viewable from their mobile device. If you’re promoting a product or service, pick just one. Your viewers don’t want to scroll a lot. If you want to promote branding content, offer only one piece and make it worth their while. Make your offer very specific and not a generic promotion. 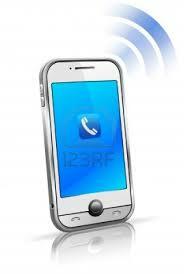 Provide an icon that when they click on it, it calls your company directly. Make sure the call to action (CTA) call icon is above the fold. If you want to include additional clickable icons for additional information, place those below the CTA, under the fold. What are your secrets to creating great landing pages that work well for your mobile visitors? Share them with us. As e-commerce continues its expansive growth, studies are finding that more and more often there just is no equal substitute to talking to a live person. 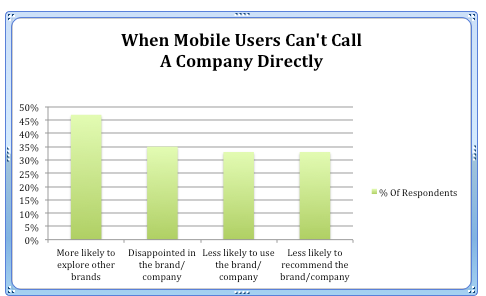 In fact, 70% of mobile searchers report they click to call directly from the search results to connect with a business. As we focus more time and expenditures into e-commerce, we have to understand what’s motivating mobile visitors to use the click to call feature. Since Google recently revised their algorithms to accommodate mobile users, this prospective prospects niche is only growing in numbers and importance. So, to best reach them and meet their needs, I recommend you make sure they can call you directly and easily from your website. To do this, I suggest you make your phone number on your website clickable for mobile users, making it easy for them to call you directly by simply clicking on your phone number. Were you surprised by how important your phone number is to your website? Share your thoughts with us. Last week I talked about how effective it is to use video in your e-mail campaigns. That’s because video is now a significant part of the marketing mix, with 93% of marketing professionals using the technology, according to a new report co-sponsored by ReelSEO, The Web Video Marketing Council, and Flimp Media. This week I thought it would be helpful if I shared some ideas to help you most effectively execute adding video to your marketing mix. Make sure your video is high quality and in line with your brand – most smartphones record in high definition, and there are apps you can download that enable you to do effects on your video. Have the video be the main focus of the e-mail so prospects can easily find it. Use the word “video” in your subject line so you get their attention right away. Use a short copy blurb to setup your video and explain what is on the video and why they should watch it – mention a benefit to them and have a call to action or you’ll be missing potential leads. Use a video that is effective but short – try to keep it around 1 to 2 minutes maximum. If using a static image with a play icon, then make sure the image is a good one – studies show images of people work better to get someone to click. Do NOT put the video on auto play – your prospects really don’t like this and will likely unsubscribe. Test your results to see if adding video helped increase your numbers. How are you using video in your marketing? Let us know.